C# Code: roam, chase, bite! 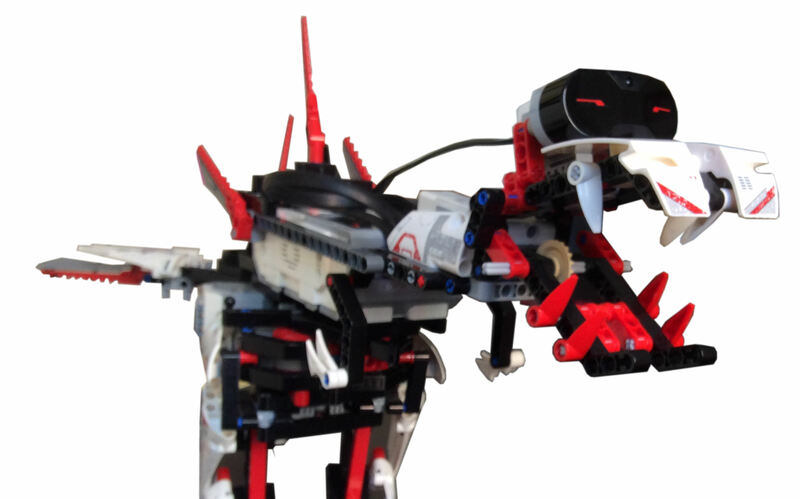 Since the beginning, December 2015, this blog has been about programming the Lego Mindstorms Ev3 brick with C# and the Monobrick firmware library. 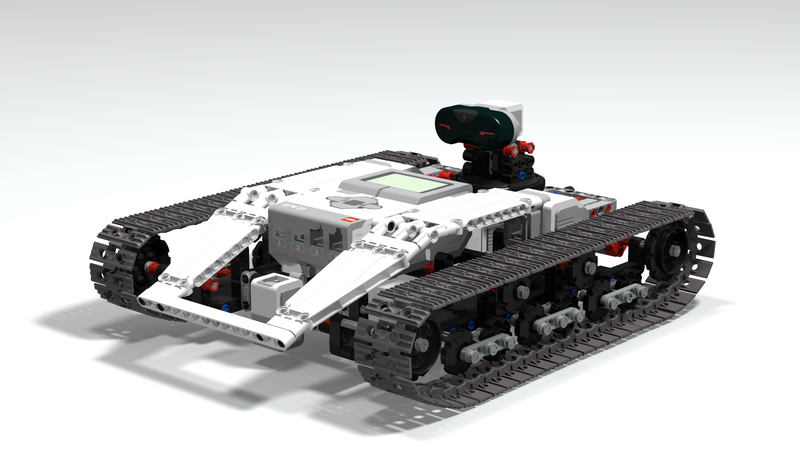 This time I’ve chosen to try programming the T-R3X with Python and Ev3Dev. 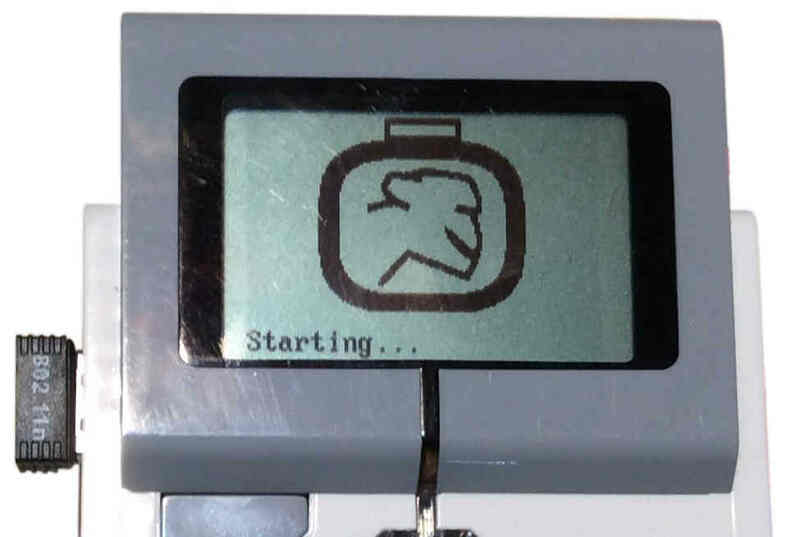 As you may know, the Lego Mindstorms Ev3 Brick comes with a very interesting feature: the Ev3 Brick has a microSD slot on its side which, among other more intuitive functionalities, which you can use to temporary boot the Brick with alternative operative systems. Monobrick lets you program the Brick using C# and the Microsoft .Net Framework with Microsoft Visual Studio 2015 Community Edition and later versions; it is the firmware replacement I’ve used so far with personal satisfaction. 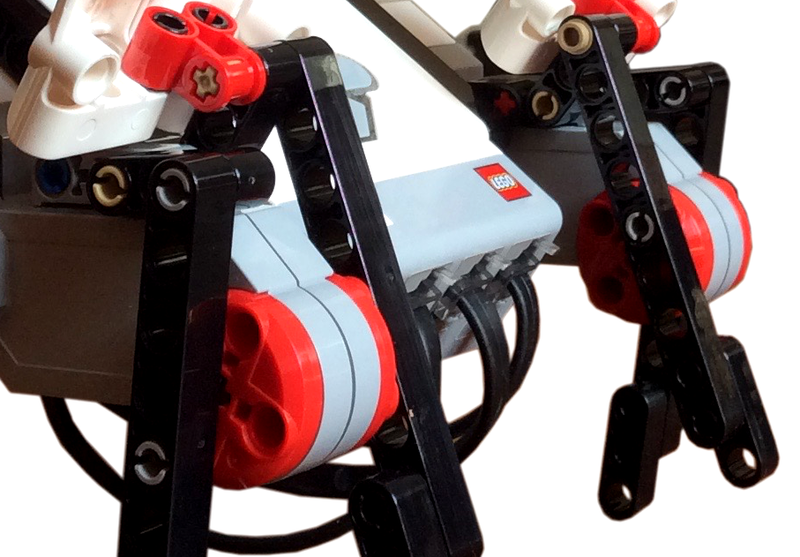 You can find the building instructions for the T-R3X in the book of Daniele Benedettelli “The Lego Mindstorms Ev3 Laboratory”. This robot walks swiping its weight from one leg to the other using one Ev3 Large Motor, and moves forward by advancing the leg not touching the ground with by the second Ev3 Large Motor. There is one Ev3 Medium Motor to actuate its terrible 🙂 mouth. 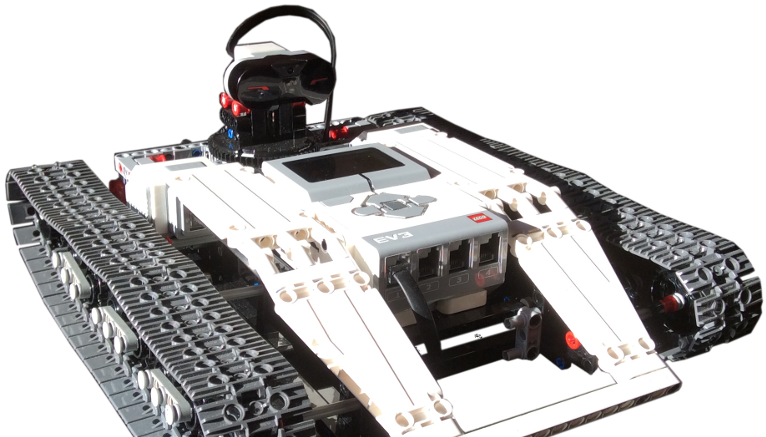 The Python code proposed let the T-R3X walk around and follow the Ev3 IR Beacon when found. You can download the Python code from the Smallrobots.it repository on GitHub. Have a look at the video below to see it in action. Subscribe to Smallrobots.it YouTube channel! Please support me rating this post, I will feel more motivated! Thank you! Hi! As promised, I managed to produce a small video where I show the Sup3r Car performing the track following task. Here we go! Next posts will be about the the algorithms running on board. If you enjoyed the video, please live a comment! R3PTAR Video: roam, chase, bite! Copyright © 2019 Smallrobots.it. Powered by WordPress. Theme: Spacious by ThemeGrill.